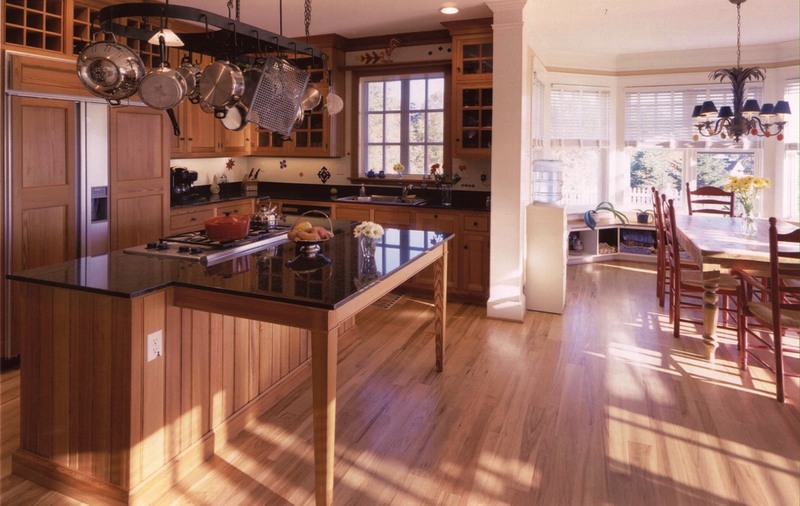 The eat-in section of this island was designed with tapered legs in order to create the feel of a country kitchen table, enhancing the "up country" flavor of this open room. Random width, beaded-board paneling, complements the beaded, flat-panel cabinet doors. Extensive use of divided-glass, cabinet doors, and the wrought iron pot rack, give this custom designed kitchen its handsomely livable character.